The Titan 55 from High Sierra’s Tech Series boasts a generous 55-liter, top-load main compartment with a gusseted drawstring closure and adjustable top lid as well as a front load sleeping bag compartment with divider. 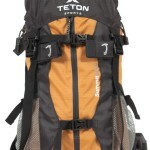 A hinged front pocket with mesh side gussets can hold ropes or other gear and an internal hydration reservoir sleeve with dual exit ports for the tube keep the water flowing. The High Sierra Tech Series Titan 55 carries heavy burdens with relative ease thanks to it S-shaped Ergo-Fit shoulder strap harness with load-lifters that adjust to fit a trimmer torso. 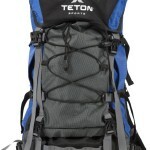 In addition the pack is equipped with soft lashing hardware that holds an ice axe or hiking poles, dual mesh pockets that hold 1000-milliliter water bottles, convenient zippered pockets on the padded waist belt ideal for quick-reach items. The pack’s high-density foam padded back panel provides optimum load support while the large AirFlow channels and uniquely contoured internal frame structure helps keep your back cool and dry. 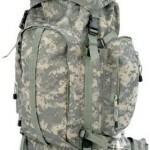 Padded grab handles adorn both sides of the pack and adjustable side and bottom compression straps and an adjustable sternum strap stabilizes the load. 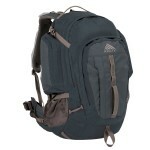 A removable media pocket attached to the backpack strap, and a convenient webbing daisy chain on the front. Finally, the backpack’s pull out rain cover, ensures your gear will stay dry when the heavens open up and also protects the pack when checked for air travel. 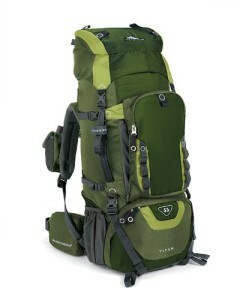 The general construction of the backpack is great, and it can hold a decent amount of gear for any eventuality. 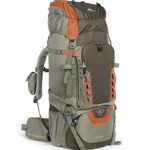 It is lightweight and full with many useful pockets. 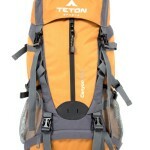 The backpack has aluminium support stays that can be adjusted by being removed or bent to fine tune the pack to the user. 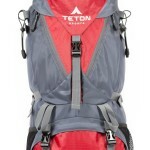 The compression straps on the outside are brilliant for strapping on extra gear. 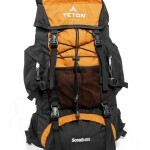 The shoulder straps can be adjusted to fit the user. The pull out rain fly is awesome especially under stormy skies. A few customers commented that the buckles seem to be cheaply made, although the majority of customers have commented on the great build quality. Many customers first impression of the 59404 is that it looks great out of the box. There is plenty of storage capacity for a sleeping bag, food, water and a change of clothes for a 2 to 3 day trip. Many were impressed by how easy it was to adjust the frame to their torso size no matter how lean they were. For storage the pack comes with loads of pockets. You may notice that the separate sleeping bag compartment seems a little small, but there are that many compartments and you can unzip the divider, so I reckon it is a non-issue. The pack also includes a rain cover that is stored in a compartment on the bottom of the pack, perfect for keeping dry in a storm. The High Sierra Series 59404 Titan has been rated an outstanding 4.4 out of 5.0 by 233 customers on Amazon. Click here for more verified customer reviews on Amazon. The built quality of the High Sierra Tech Series 59404 Titan 55 Internal Frame Pack is great giving it great durability. 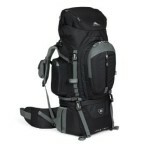 It holds a decent amount of gear and has room to spare! It does seem like High Sierra have thought of everything when designing this pack. 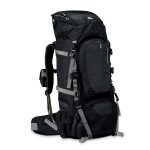 This entry was posted in High Sierra, Internal Frame Backpack Review and tagged High Sierra Tech Series 59404 Titan 55, High Sierra Tech Series 59404 Titan 55 Internal Frame Pack. Bookmark the permalink.